&#8220;Gears of War 3,” the dramatic, action-packed, much-anticipated conclusion to the blockbuster Xbox 360 trilogy, marches out at midnight. “Fans who have been waiting for the final chapter in the sci-fi warfare saga are lining up around the world to buy the game, which goes on sale at 12 a.m. on Tuesday, September 20. With 20,000 launch locations, the release is the franchise’s biggest, stretching from New Zealand to Times Square,” Microsoft stated. Guy Welch, a Microsoft senior product manager said he expects more than 4 million people will be playing “Gears of War 3” by week’s end, 75 percent of whom will play the cooperative and multiplayer modes on Xbox LIVE. “Gears of War 2” sold 2 million copies in its first weekend, and many of those 2 million players tried to log on to Xbox LIVE all at once. “Gears of War 3” will have dedicated servers all over the world to guarantee a smooth launch. 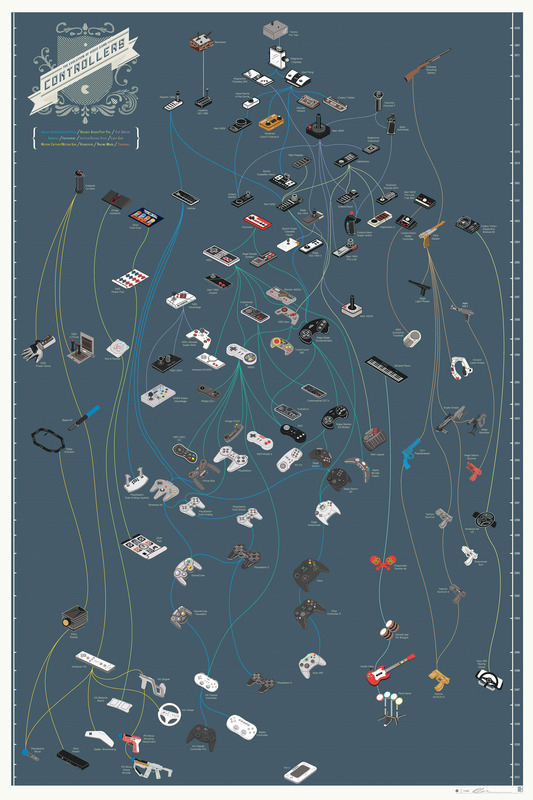 FastCo Design from Pop Chart Lab produced a nice infographic that shows the family tree for video games controllers. While it’s beautiful, it’s missing one thing — an image of Kinect.